HP has unleashed a range of new, fifth-generation HP ZBook Mobile Workstations, including the ZBook Studio x360 G5. The new devices are said to be designed for creative and technical professionals, executives, as well as students. The ZBook Studio x360 G5 is a 2-in-1 convertible laptop that is equipped with a 360-degree hinge. Also, it comes with the powerful Intel Xenon processors and Nvidia graphics. According to HP, the ZBook Studio x360 G5 is the world’s most powerful convertible PC. It can be configured with 8th generation hexa-core Intel Xeon processors and Nvidia’s Quadro P1000 graphics. It sports a 15.6-inch display that can be configured in 1080p or 4K with HP’s DreamColor technology. The display is said to offer a bright 600 nits of performance. Users can also choose to between 8th-gen Core i5 and six-core i7 processors. Also, the ZBook x360 battery lasts up to 16 hours and can charge up to 50 percent in 30 minutes, according to HP. With another new ZBook Studio G5 laptop, the company is targetting creative professionals, and boasts of a bright 4K display, which is measured at 600 nits. 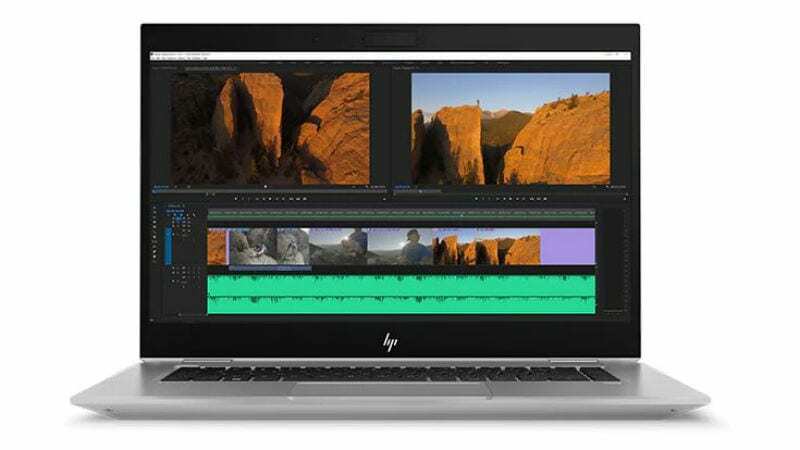 The HP DreamColor anti-glare display supports 100 percent Adobe RGB and claims to be 20 percent brighter than the Apple MacBook Pro 15-inch Retina display and 50 percent brighter than the Dell XPS UltraSharp 4K display6. 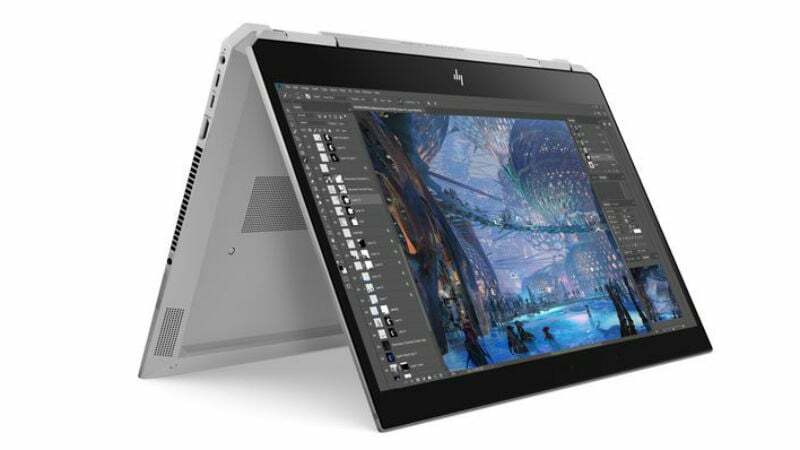 Coming to other specifications, the HP ZBook Studio supports up to 6TB of storage, with Nvidia Quadro graphics and hexa-core Intel Xeon processors, with 35 percent higher processing performance than the Apple MacBook Pro 8. Apart from the mentioned laptops, HP also launched the ZBook17 G5, which the company claims to be the world’s most powerful mobile workstation. It comes with a processor that boasts 50 percent more cores than the previous generation, coupled with up to 64GB of RAM and Nvidia Quadro P5200 graphics. The notebook has 10TB of storage capacity, and it has better cooling than the previous model. HP claims a 20 percent better thermal performance in comparison. It also features an array of customisation options, with up to 50 million various combinations. The company also launched the ZBook 15 G5 notebook that offers a 4K HP DreamColor display, with 600 nits brightness. It comes with up to 6TB of storage capacity, with up to 4TB of PCIe storage. Here, the thermals are 30 percent better than the previous models, according to HP. Also, there is a ZBook 15v G5 meant for small businesses and engineering students and comes at an affordable price. The notebook runs with a six-core Intel Xeon processor and 32GB of RAM with Nvidia Quadro graphics and up to 4TB of storage. And the final product launched, is a new monitor called the DreamColor Z27x G2 Display. It sports a 27-inch IPS display with super-accurate colours, boasting 98 percent Adobe RGB coverage and 99 percent DCI P3. It comes with an integrated pop-up sensor as well. Notably, the HP ZBook x2 that was launched in 2017, will now get the Intel’s 8th-gen Core processors. Coming to the pricing and availability, the HP ZBook Studio x360 and the ZBook Studio are expected to be available starting next month for a starting price of $1,499 (roughly Rs. 97,400) and $1,299 (roughly Rs. 84,400) respectively. The HP ZBook 17 and HP ZBook 15 are also scheduled to be released in May, but the pricing details are not available yet. The HP ZBook 15v has been priced at $949 (roughly Rs. 61,700) and will also be available starting next month. Finally, the HP DreamColor Z27x G2 Display is already available in the US, for a starting price of $1,999 (roughly Rs. 1,30,000).